[L1] P. COMON, P. CHEVALIER, "Blind source separation: Models, Concepts, Algorithms and Performance", Chapitre 5 de l’ouvrage Unsupervised adaptive filtering - Tome 1 – Blind Source Separation, pp. 191 - 235, Dir. S. Haykins, Wiley, 445 p, 2000. [L2] P. CHEVALIER, A. FERREOL, L. ALBERA, "High resolution DOA estimation with higher order statistics", Chapitre 8 de l’ouvrage Classical and modern direction of arrival estimation, pp. 289-339, Dir. E. Tuncer and B. Friedlander, Academic Press, 448 p, 2009. [L3] P. CHEVALIER, A. CHEVREUIL, "Blind source separation : Application to Telecommunications", Chapitre 17 de l’ouvrage Handbook of Blind source separation, Independent Component Analysis and applications, pp. 683-735, Dir. C. Jutten and P. Comon, Academic Press, 856 p, 2010. [L4] P. CHEVALIER, A. FERREOL, "Advanced Processing for DOA estimation", Chapitre 11 de l’ouvrage Non Standard Antennas, pp. 215-239, Dir. F. Le chevalier, D. Lessellier, P. Staraj, Wiley, 480 p, 2011. [L5] L. BALTAR, P. CHEVALIER, M. RENFORS, J. YLI-KAAKINEN, J. LOUVEAUX, X. MESTRE, F. BADER, V. SAVAUX, "FBMC Channel Equalization Techniques", Chapitre 12 de l’ouvrage Orthogonal Waveforms and Filter Banks for Future Communications Systems, pp. ? ?, Dir. M. Renfors, X. Mestre, E. Kofidis, F. Bader, Academic Press, 470 p, 2017. [LF1] P. CHEVALIER, J.F. CARDOSO, "Goniométrie après identification aveugle des vecteurs directeurs", Chapitre 19 de l'ouvrage Les méthodes à haute résolution - Traitement d'antenne et Analyse spectrale, pp. 529-537, Dir. S. Marcos, Hermès, 783 p, 1998. [LF2] J.F. CARDOSO, P. CHEVALIER, "Goniométrie aux ordres supérieurs", Chapitre 20 de l'ouvrage Les méthodes à haute résolution - Traitement d'antenne et Analyse spectrale, pp. 539-556, Dir. S. Marcos, Hermès, 783 p, 1998. [LF3] G. MULTEDO, P. CHEVALIER, "La Radiogoniométrie", Chapitre 27 de l'ouvrage Les méthodes à haute résolution - Traitement d'antenne et Analyse spectrale, pp. 685-710, Dir. S. Marcos, Hermès, 783 p, 1998. [LF4] P. CHEVALIER, A. FERREOL, "Approches avancées en radiogoniométrie", Chapitre 11 de l'ouvrage Les antennes non standards , pp. 213-236, Dir. F. Le Chevalier, Hermès, 460 p, 2010. [A1] B. PICINBONO, P. CHEVALIER, "Widely linear estimation with complex data", IEEE Trans. Signal Processing, Vol 43, N°8, pp. 2030-2033, Aug. 1995. [A2] B. PICINBONO, P. CHEVALIER, "Extensions of the minimum variance method", Signal Processing, Elsevier, Vol 49, pp. 1-9, 1996. [A3] P. CHEVALIER, B. PICINBONO, "Complex Linear-Quadratic Systems for Detection and Array Processing", IEEE Trans. Signal Processing, Vol 44, N°10, pp. 2631-2634, Oct. 1996. [A4] P. CHEVALIER, "Optimal separation of independent narrow-band sources - Concept and Performance", Signal Processing, Elsevier, Vol 73, N° 1-2, pp. 27-47, Feb. 1999. [A5] P. CHEVALIER, A. FERREOL, "On the virtual array concept for the fourth-order direction finding problem", IEEE Trans. Signal Processing, Vol 47, N°9, pp. 2592-2595, Sept. 1999. [A6] P. CHEVALIER, "On the blind implementation of the ultimate source separators for arbitrary noisy mixtures", Signal Processing, Elsevier, Vol 78, N°3, pp. 277-287, Nov. 1999. [A7] L. PERROS-MEILHAC, E. MOULINES, P. CHEVALIER, P. DUHAMEL, "A parametric blind subspace identification : Robustness issue", IEEE Communications Letters, Vol 3, N°11, pp. 320-322, Nov. 1999. [A8] A. FERREOL, P. CHEVALIER, "On the behavior of current second and higher order blind source separation methods for cyclostationary sources", IEEE Trans. Signal Processing, Vol 48, N° 6, pp. 1712-1725, June 2000. Errata Vol 50, N°4, p 990, April 2002. [A9] L. PERROS-MEILHAC, E. MOULINES, K. ABED MERAIM, P. CHEVALIER, P. DUHAMEL, "Blind identification of multipaths channels : a parametric subspace approach", IEEE Trans. Signal Processing, Vol 49, N°7, pp. 1468-1480, July 2001. [A10] J.M. CHAUFRAY, P. LOUBATON, P. CHEVALIER, "Consistent estimation of Rayleigh fading channel second order statistics in the context of the wideband CDMA mode of the UMTS", IEEE Trans. Signal Processing, Vol 49, N°12, pp. 3055-3064, Dec. 2001. [A11] A. FERREOL, P. CHEVALIER, L. ALBERA, "Second order blind separation of first and second order cyclostationary sources – Application to AM, FSK, CPFSK and Deterministic sources", IEEE Trans. Signal Processing, Vol 52, N°4, pp. 845-861, April 2004. [A12] L. ALBERA, A. FERREOL, P. COMON, P. CHEVALIER, "Blind Identification of Overcomplete MixturEs of sources (BIOME)", Linear Algebra and its Applications, Elsevier, Vol 391, pp. 3-30, Nov. 2004. [A13] P. CHEVALIER, L. ALBERA, A. FERREOL, P. COMON, "On the Virtual Array Concept for higher order array processing", IEEE Trans. Signal Processing, Vol 53, N°4, pp. 1254-1271, April 2005. [A14] A. FERREOL, L. ALBERA, P. CHEVALIER, "Fourth Order Blind Identification of Underdetermined Mixtures of Sources (FOBIUM)", IEEE Trans. Signal Processing, Vol 53, N°5, pp. 1640-1653, May 2005. [A15] L. ALBERA, A. FERREOL, P. CHEVALIER, P. COMON, "ICAR : a tool for blind source separation using fourth order statistics only", IEEE Trans. Signal Processing, Vol 53, N°10, pp. 3633-3643, Oct. 2005. [A16] P. CHEVALIER, F. PIPON, "New insights into optimal widely linear array receivers for the demodulation of BPSK, MSK and GMSK signals corrupted by non circular interferences – Application to SAIC", IEEE Trans. Signal Processing, Vol 54, N°3, pp. 870-883, March 2006. [A17] P. CHEVALIER, A. FERREOL, L. ALBERA, "High resolution direction finding from higher order statistics : the 2q-MUSIC algorithm", IEEE Trans. Signal Processing, Vol 54, N°8, pp. 2986-2997, Aug. 2006. [A18] P. CHEVALIER, F. PIPON, F. DELAVEAU, "Second order optimal array receiver for synchronization of BPSK, MSK and GMSK signals corrupted by noncircular interferences", Hindawi Publishing Corporation, Eurasip Journal on Advances in Signal Processing, Vol 2007, Article ID45605, 16 pages, DOI 10.1155/2007/45605, 2007. [A19] P. CHEVALIER, A. BLIN, "Widely Linear MVDR beamformers for the reception of an unknown signal corrupted by noncircular interferences", IEEE Trans. Signal Processing, Vol 55, N°11, pp. 5323-5336, Nov. 2007. [A20] P. CHEVALIER, A. FERREOL, L. ALBERA, G. BIROT, "Higher Order direction finding from arrays with diversely polarized antennas : The PD-2q-MUSIC algorithms", IEEE Trans. Signal Processing, Vol 55, N°11, pp. 5337-5350, Nov. 2007 . [A21] G. BIROT, L. ALBERA, P. CHEVALIER, "Sequential high resolution direction finding from higher order statistics", IEEE Trans. Signal Processing, Vol 58, N°8, pp. 4144-4155, Aug. 2010. [A22] P. CHEVALIER, F. DUPUY, "Widely linear Alamouti receivers for the reception of real-valued signals corrupted by interferences – The Alamouti-SAIC/MAIC concept", IEEE Trans. Signal Processing, Vol 59, N°7, pp. 3339-3354, July 2011. [A23] A. OUKACI, J.P. DELMAS, P. CHEVALIER, "Performance analysis of LRT/GLRT-based array receivers for the detection of a known signal corrupted by noncircular interferences", Signal Processing, Elsevier, Vol. 91, pp. 2323-2331, 2011. [A24] J.P. DELMAS, A. OUKACI, P. CHEVALIER, "On the asymptotic distribution of GLR impropriety of complex signals", Signal Processing, Elsevier, Vol. 91, pp. 2259-2267, 2011. [A25] P. CHEVALIER, A. OUKACI, J.P. DELMAS, "GLRT-based array receivers for the detection of a known signal with unknown parameters corrupted by noncircular interferences", Eurasip Journal on Advances in Signal Processing, 20 pages, 2011:56, 2011. [A26] P. CHEVALIER, J.P. DELMAS, A. OUKACI, "Properties, performance and practical interest of the Widely Linear MMSE beamformer for nonrectilinear signals", Signal Processing, Elsevier, Vol. 97, pp. 269-281, April 2014. [A27] S. HILTUNEN, P. LOUBATON, P. CHEVALIER, "Large system analysis of a GLRT for detection with large sensor arrays in temporally white noise", IEEE Trans. Signal Proc., Vol.63, N°20, pp. 5409-5423, Oct. 2015. [A28] H. BECKER, P. CHEVALIER, M. HAARDT, "Higher order direction finding from rectangular cumulant matrices: the rectangular 2q-MUSIC algorithms", Signal Processing, Vol. 133, pp. 240-249, April 2017. [A29] P. CHEVALIER, R. CHAUVAT, JP. DELMAS, "Enhanced Widely Linear Filtering to Make Quasi-Rectilinear Signals almost Equivalent to Rectilinear Ones for SAIC/MAIC", IEEE Trans. Signal Processing, Submitted May 2017. [A30] P. CHEVALIER, JP. DELMAS, M. SADOK, "Third-Order Volterra MVDR Beamforming for Non-Gaussian and potentially Non-circular Interference Cancellation ", IEEE Trans. Signal Proc., Submitted October 2017. [AF1] P. CHEVALIER, P. DUVAUT, B. PICINBONO, "Le filtrage de Volterra transverse réel et complexe en traitement du signal ", Traitement du Signal, Numéro spécial "Non linéaire et Non gaussien", vol 7, N°5, pp 451-476, 1990. [AF2] P. CHEVALIER, "Méthodes aveugles de filtrage d'antenne - Séparation de sources aux ordres supérieurs", Revue de l'Electricité et de l'Electronique, N°3, pp 48-58, Sept. 1995. [AF3] C. DEMEURE, P. CHEVALIER, "The smart antennas at Thomson-CSF Communications: Concepts, Implementations, Performances, Applications", Annales des Télécommunications, Vol 53, N° 11-12, pp. 466-482, Nov-Dec 1998. [AF4] P. CHEVALIER, "Filtrage d'antenne polypériodique et linéaire au sens large pour signaux cyclostationnaires et non circulaires", Traitement du Signal, Numéro spécial du Colloque en l’honneur du Pr. Picinbono, Vol 15, N°6, pp 563-568, 1998. [AF5] P. CHEVALIER, P. COMON, "Séparation aveugle de sources", Encyclopédie Les Techniques pour l’Ingénieur, TE 5 250, pp 1-22, Août 2002. [AF6] P. CHEVALIER, F. PIPON, "Lutte anti-interférence à partir d’une seule antenne par optimisation de la forme d’onde et de son exploitation", Revue de l'Electricité et de l'Electronique, N° 1, pp 60-65, Janv. 2006. [AF7] F. DUPUY, P. CHEVALIER, "Concept SAIC/MAIC Alamouti – Interprétation géométrique et performances ", Traitement du Signal, N°1-2, pp. 85-104, 2013. [AF8] J.P. DELMAS, P. CHEVALIER, S. SALLEM, M. SADOK, "Récepteurs SIMO MLSE Widely Linear - Structures et performances en présence d’interférences non circulaires", Traitement du Signal, Vol. 32, N°1, pp. 7-37, 2015. [C1] P. CHEVALIER, G. GOUDEZEUNE, B. PICINBONO, "On the constraint problem in adaptive beamforming", Proc EUSIPCO, Grenoble (France), pp. 275-278, 1988. [C2] P. CHEVALIER, B. PICINBONO, "Optimal linear-quadratic array for detection", Proc ICASSP, Glasgow (Ecosse), pp. 2826-2829, 1989. [C3] P. CHEVALIER , B. PICINBONO, "Adaptive linear-quadratic array for detection", Proc ICASSP, Albuquerque (USA), pp. 2807-2810, 1990. [C4] P. CHEVALIER, B. PICINBONO, "Detection with a second-order Volterra array processor mismatched to the fourth order statistics of the noise", Proc EUSIPCO, Barcelone (Espagne), pp. 661-664, 1990. [C5] P. CHEVALIER, B. PICINBONO, "Second order Volterra array processor mismatched to the fourth-order moments of the jammers", Conférence sur les statistiques d'ordre supérieur, Chamrousse (France), pp. 305-308, Juillet 1991. [C6] P. CHEVALIER, P. DUVAUT, B. PICINBONO, "Complex transversal Volterra filters optimal for detection and estimation", Proc ICASSP, Toronto (Canada), pp. 3537-3540, 1991. [C7] A. SOULOUMIAC, P. CHEVALIER, C. DEMEURE, "Improvement in non Gaussian jammers rejection with a non linear spatial filter", Proc ICASSP, Minneapolis (USA), pp V670-V673, April 1993. [C8] P. CHEVALIER, "On the performance of higher order blind source separation methods", IEEE Signal Proc. Workhop on Higher Order Statistics, Begur (Spain), pp 30-34, June 1995. [C9] P. CHEVALIER, "Optimal array processing for non stationary signals", Proc. ICASSP, Atlanta (USA), pp. 2868-2871, May 1996. [C10] P. CHEVALIER, G. BENOIT, A. FERREOL, "DF after Blind Identification of the source steering vectors : the Blind-Maxcor and Blind-MUSIC methods", Proc. EUSIPCO, Triestre (Italy), pp 2097-2100, Sept. 1996. [C11] P. CHEVALIER, "Optimal time invariant and widely linear spatial filtering for radiocommunications", Proc. EUSIPCO, Triestre (Italy), pp. 559-562, Sept. 1996. [C12] P. CHEVALIER, A. FERREOL, J.P. DENIS, "New geometrical results about 4-th order direction finding methods performance", Proc. EUSIPCO, Triestre (Italy), pp 923-926, Sept. 1996. [C13] P. CHEVALIER, A. MAURICE, "Constrained Beamforming for Cyclostationary Signals", Proc ICASSP, Munich (Germany), pp 3789-3792, April 1997. [C14] A. FERREOL, P. CHEVALIER, "Higher Order Blind Source Separation using the Cyclostationarity Property of the Signals", Proc. ICASSP, Munich, pp 4061-4064, Apr. 1997. [C15] F. PIPON, P. CHEVALIER, P. VILA, D. PIREZ, "Practical implementation of a multichannel equalizer for a propagation with ISI and CCI - Application to a GSM link", Proc. IEEE Vehicular Technology Conference, Phoenix (USA), pp 889-893, May 1997. [C16] P. CHEVALIER, F. PIPON, J.J. MONOT, C. DEMEURE, "Smart antenna for the GSM system: experimental results for a mobile reception", Proc. IEEE Vehicular Technology Conference, Phoenix (USA), pp 1572-1576, May 1997. [C17] Y.I. ABRAMOVICH, C. DEMEURE, A.Y. GOROKHOV, P. CHEVALIER, "Experimental results on multichannel adaptive frame synchronisation for HF modems with co-channel interference", Proc. IEEE SP Workshop on Signal Processing Advances in Wireless Communications, SPAWC, Paris (France), pp. 305-308, April 1997. [C18] F. PIPON, P. CHEVALIER, P. VILA, J.J. MONOT, "Joint spatial and temporal equalization for channels with ISI and CCI - Theoretical and experimental results for a base station reception", Proc. IEEE SP Workshop on Signal Processing Advances in Wireless Communications, SPAWC, Paris (France), pp. 309-312, April 1997. [C19] P. COMON, P. CHEVALIER, V. CAPDEVIELLE, "Performance of Contrast-based Blind Source Separation", Proc IEEE SP Workshop on Signal Processing Advances in Wireless Communications, SPAWC, Paris (France), pp 345-348, April 1997. [C20] F. PIPON, P. CHEVALIER, "Multichannel receivers performance comparison in the presence of ISI and CCI - Application to a GSM link", Proc IEEE Digital Signal Processing Conference, DSP, Santorini (Greece), pp 371-374, July 1997. [C21] P. CHEVALIER, V. CAPDEVIELLE, P. COMON, "Behaviour of HO blind source separation methods in the presence of cyclostationary correlated multipaths", IEEE SP Workshop on HOS, Alberta (Canada), pp. 363-367, July 1997. [C22] J.J. MONOT, J. THIBAULT, P. CHEVALIER, F. PIPON, S. MAYRARGUE, A. LEVY, "A fully programmable prototype for the experimentation of the SDMA concept and use of smart antennas for UMTS and GSM/DCS1800 networks", IEEE PIRMC Conference, Helsinky, (Finland), pp. 534-538, Sept. 1997. [C23] J.J. MONOT, J. THIBAULT, P. CHEVALIER, F. PIPON, S. MAYRARGUE, A. LEVY, "A fully programmable prototype for the experimentation of the SDMA concept and use of smart antennas for UMTS and GSM/DCS1800 networks", DSP Conference and its applications, Paris, (France), Sept. 1997. [C24] A. FERREOL, P. CHEVALIER, "On the fourth-Order cumulant estimation for the HO blind separation of cyclostationarity sources", ICASSP 98, Seattle (USA), pp. 2313-2316, May 1998. [C25] J.J. MONOT, J. THIBAULT, P. CHEVALIER, F. PIPON, S. MAYRARGUE, A. LEVY, "Smart antenna prototype for the SDMA experimentation in UMTS and GSM/DCS1800 networks", ICT'98, Chaldiki (Greece), pp. 333-337, June 1998. 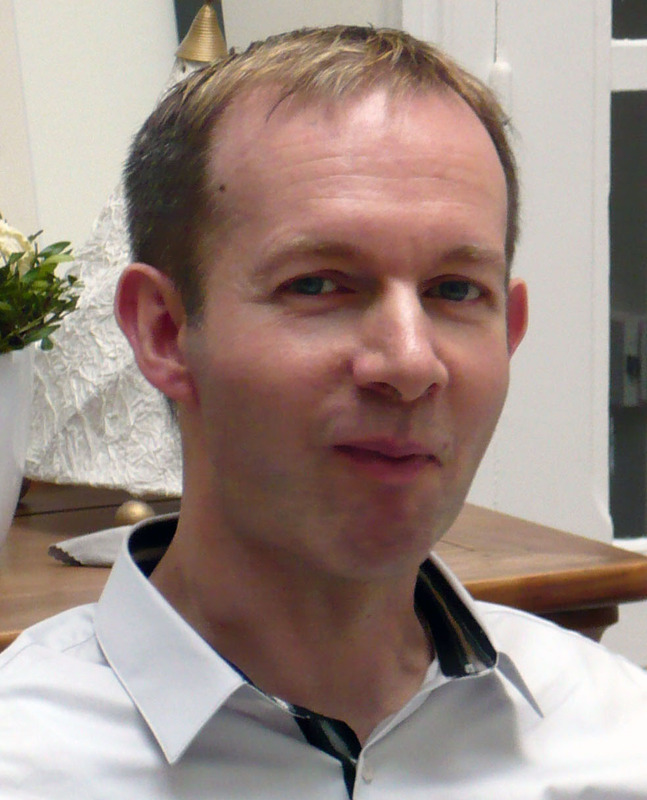 [C26] P. CHEVALIER, A. MAURICE, "Blind and informed cyclic array filtering for cyclostationary signals", Proc. EUSIPCO 98, Rhodes (Greece), pp 1645-1648, Sept. 1998. [C27] P. CHEVALIER, V. CAPDEVIELLE, P. COMON, "Performance of HO blind source separation methods : experimental results on ionospheric HF links", Proc. Workshop on Independent Component Analysis, ICA 99, Aussois (France), pp 443-448, Janv 1999. [C28] L. MEILHAC, P. DUHAMEL, P. CHEVALIER, E. MOULINES, "Blind knowledge based algorithms based on second order statistics", Proc.ICASSP 99, Phoenix (USA), Vol V, pp 2901-2904, March 1999. [C29] L. MEILHAC, E. MOULINES, P. CHEVALIER, P. DUHAMEL, "A parametric subspace-based blind estimation of a SIMO-FIR with unknown channel order", Proc.SPAWC 99, Annapolis (USA), May 1999. [C30] M. CHENU-TOURNIER, P. CHEVALIER, J.P. BARBOT, "A parametric spatio-temporal channel estimation technique for FDD UMTS uplink", Proc.1st Sensor Array and Multichannel (SAM) SP Workshop, Cambridge, Massachussets (USA), March 2000. [C31] M. CHENU-TOURNIER, P. CHEVALIER, J.P. BARBOT, "Direct and Turbo Multi-user spatio-temporal channel estimation schemes for CDMA FDD UMTS", Proc. ICASSP 00, Istanbul, (Turquie), May 2000. [C32] L. MEILHAC, E. MOULINES, P. CHEVALIER, "On the pulse shape filter estimation in a multipath context", Proc. ASILOMAR Conference, Pacific Groeve (CA - USA), Oct. 2000. [C33] L. MEILHAC, E. MOULINES, P. CHEVALIER, "Blind Multipaths parameters estimation with an unknown pulse shape filter", Proc. ASILOMAR Conference, Pacific Groeve (CA - USA), Oct. 2000. [C34] J.M. CHAUFRAY, P. LOUBATON, P. CHEVALIER, "Consistent estimation of Rayleigh fading channel second order statistics in the context of the wideband CDMA mode of the UMTS", Proc. ICASSP 01, Salt Lake City, (USA), May 2001. [C35] P. CHEVALIER, A. FERREOL, L. ALBERA, "On the behavior of current second order blind source separation methods for first and second order cyclostationary sources – Application to CPFSK sources", Proc. ICASSP 02, Orlando, (USA), pp 3081-3084, May 2002 . [C36] A. FERREOL, P. CHEVALIER, L. ALBERA, "Higher order blind separation of non zero-mean cyclostationary sources", Proc. EUSIPCO 02, Toulouse, (France), pp. 103-106, Sept. 2002. [C38] A. FERREOL, L. ALBERA, P. CHEVALIER, "Fourth Order Blind Identification of Underdetermined Mixtures of Sources (FOBIUM)", Proc. ICASSP 03, Hong Kong (China), April 2003 . [C39] L. ALBERA, P. COMON, P. CHEVALIER, A. FERREOL, "Blind Identification of Underdetermined Mixtures based on the Hexacovariance", ICASSP 04, Montréal (Canada), May 2004 . [C40] L. ALBERA, A. FERREOL, P. CHEVALIER, P. COMON, "ICAR : Independent Component Analysis using redundancies", Proc. ISCAS 04, Vancouver (Canada), May 2004. [C41] P. CHEVALIER, L. ALBERA, A. FERREOL, P. COMON, "Comparative performance analysis of eight blind source separation methods on radio communications signals", Proc. IJCNN’04, Budapest (Hongrie), July 2004. [C42] P. JALLON, A. CHEVREUIL, P. LOUBATON, P. CHEVALIER, "Separation of convolutive mixtures of cyclostationary sources : a contrast function based approach", Proc. ICA’04, Grenade (Spain), Sept. 2004. [C43] P. CHEVALIER, "Adaptive antennas for radio communications : a brief overview", Proc. JINA’04, Nice (France), Nov. 2004. [C44] P. JALLON, A. CHEVREUIL, P. LOUBATON, P. CHEVALIER, "Separation of convolutive mixtures of linear modulated signals using the constant modulus algorithm", ICASSP’05, Philadelphy (USA), pp. 453-456, May 2005. [C45] P. CHEVALIER, F. PIPON, "Optimal array receiver for synchronization of a BPSK signal corrupted by non circular interferences", Proc. ICASSP’06, Toulouse (France), May 2006. [C46] G. BIROT, L. ALBERA, A. FERREOL, P. CHEVALIER, "DOA estimation based on an even order deflation scheme", Proc. DSP’07, Cardiff (Scotland), July 2007. [C47] P. CHEVALIER, A.BLIN, F. PIPON, F. DELAVEAU, "GLRT-based array receivers to detect a known signal corrupted by noncircular interferences", Proc. EUSIPCO’07, Poznan (Pologne), Sept 2007. [C48] P. CHEVALIER, A. FERREOL, L. ALBERA, G. BIROT, "Higher Order direction finding from arrays with diversely polarized antennas : The PD-2q-MUSIC algorithms", Proc. EUSIPCO’07, Poznan (Pologne), Sept 2007. [C49] F. BARBARESCO, P. CHEVALIER, "Noncircularity exploitation in signal processing – Overview and Applications to radar", Proc. Waveform Diversity and Digital Radar Conference (WDDRC’08), London (UK), Dec. 2008. [C50] P. CHEVALIER, J.P. DELMAS, A. OUKACI, "Optimal Widely Linear MVDR Beamforming for Noncircular Signals", Proc. ICASSP’09, Taïpei (Taïwan), April 2009. [C51] P. CHEVALIER, J.P. DELMAS, A. OUKACI, "Performance of Optimal Widely Linear MVDR Beamforming for Noncircular Signals", Proc. EUSIPCO’09, Glasgow (Scotland), Aug. 2009. [C52] A. FERREOL, P. CHEVALIER, "High Resolution Direction Finding : From Performance to Antenna Array Optimization – The mono-source case", Proc. EUSIPCO’09, Glasgow (Scotland), Aug. 2009. [C53] F. LE CHEVALIER, M. MONTECOT, Y. DOISY, F. LETESTU, P. CHEVALIER, "Space-Time Adaptive Processing Developments in Thales", Proc. European Radar Conference (EURAD’09), Roma (Italy), Sept. 2009. [C54] F. BARBARESCO, P. CHEVALIER, "Noncircular Radar Waveforms : Properties and Challenges", Proc. International Radar Symposium (IRS’09), Hambourg (Germany), Sept. 2009. [C55] F. BARBARESCO, P. CHEVALIER, "Noncircular Waveforms Exploitation for Radar Signal Processing : Survey and Study for Agile Radar Waveform", Proc. International Conference on Radar (ICR’09), Bordeaux (France), Oct. 2009. [C56] P. CHEVALIER, F. DUPUY, "Single and Multiple Antennas Alamouti Receivers for the Reception of Real-Valued Signals Corrupted by Interferences – the Alamouti-SAIC/MAIC concept", Proc. ASILOMAR Conference, Pacific Groeve (CA - USA), Nov. 2009. [C57] P. CHEVALIER, J. BRUGIER, A. LECCA, A. FERREOL, "High Resolution direction finding at Thales-Communications: a brief overview", Proc. First International Conference on Electronic Warfare, Bangalore (India), Feb. 2010. [C58] J.P. DELMAS, A. OUKACI, P. CHEVALIER, "Performance analysis of the GLRT-Based array receivers for the detection of a known signal corrupted by noncircular interferences", Proc. ICASSP’10, Dallas (Texas), March 2010. [C59] J.P. DELMAS, A. OUKACI, P. CHEVALIER, "Asymptotic distribution of GLR for impropriety of complex signals", Proc. ICASSP’10, Dallas (Texas), March 2010. [C60] J.P. DELMAS, S. SALLEM, P. CHEVALIER, "Sensitivity of SAIC and MAIC concepts with respect to residual frequency offsets", Proc. EUSIPCO’10, Aalborg (Danmark), Aug. 2010. [C61] A. FERREOL, P. CHEVALIER, "Higher Order Direction Finding for arbitrary noncircular sources: The NC-2q-MUSIC algorithm", Proc. EUSIPCO’10, Aalborg (Danmark), Aug. 2010. [C62] P. CHEVALIER, A. OUKACI, J.P. DELMAS, "Third order widely non-linear Volterra MVDR beamforming", Proc. ICASSP’11, Prague (Czech Republic), May 2011. [C63] F. DUPUY, P. CHEVALIER, "Performance of WL Alamouti receivers for real-valued constellations in Multi-users contexts", Proc. EUSIPCO’11, Barcelona (Spain), Aug. 2011. [C64] S. SALLEM, J.P. DELMAS, P. CHEVALIER, "Optimal SIMO MLSE Receivers for the detection of linear modulation corrupted by noncircular inrerferences" Proc. Statistical Signal Processing Workshop (SSP’12), Ann Arbor (Michigan – USA), Aug. 2012. [C65] H. BECKER, P. CHEVALIER, M. HAARDT, "High Resolution Direction Finding from Rectangular Higher Order Cumulant Matrices: The Rectangular 2q-MUSIC Algorithms" Proc. ICASSP’14, Florence (Italy), May 2014. [C66] A. FERREOL, P. CHEVALIER, "New Insights into Second and Fourth-Order Direction Finding for Non-Circular Sources" Proc. SAM’14, A Coruna (Spain), June 2014. [C67] S. HILTUNEN, P. LOUBATON, P. CHEVALIER, "Asymptotic Analysis of a GLRT for Detection with Large Sensor Arrays" Proc. Eusipco’14, Lisbon (Portugal), Sept. 2014. [C68] R. CHAUVAT, P. CHEVALIER, JP. DELMAS, "How to Make Quasi-Rectilinear Signals (MSK, GMSK, OQAM) Almost Equivalent to Rectilinear Ones (BPSK, ASK) for Widely Linear Filtering in the Presence of CCI", WSA’15, Ilmenau (Germany), March 2015. [C69] P. CHEVALIER, R. CHAUVAT, JP. DELMAS, "Quasi-Rectilinear (MSK, GMSK, OQAM) Co-Channel Interference Mitigation by Three Inputs Widely Linear Fresh Filtering" ICASSP’15, Brisbanne (Australia), April 2015. [C70] R. CHAUVAT, P. CHEVALIER, JP. DELMAS, "Widely Linear FRESH Receiver for SAIC/MAIC with Frequency Offsets", ISWCS’15, Brussels (Belgium), Aug. 2015. [C71] S. HILTUNEN, P. CHEVALIER, P. LOUBATON, "New Insights into Time Synchronization of MIMO Systems with Interference" Eusipco’15, Nice (France), Sept. 2015. [C72] P. CHEVALIER, D. LE_RUYET, R. CHAUVAT, "Maximum likelihood Alamouti receiver for filter bank based multicarrier transmissions" WSA’16, Munich (Germany), March 2016. [C73] P. CHEVALIER, JP. DELMAS, R. CHAUVAT, "Reception Filter Impact on Widely Linear FRESH Receiver Performance for SAIC/MAIC with Frequency Offsets" Proc. SAM’16, Rio (Brazil), July 2016. [C74] R. CHAUVAT, JP. DELMAS, P. CHEVALIER, "Two and three-inputs widely linear FRESH receivers for cancellation of a quasi-rectilinear interference with frequency offset" EUSIPCO’16, Budapest (Hungaria), August 2016. [C75] M. SADOK, JP. DELMAS, P. CHEVALIER, "Enhanced Single-Antenna Interference Cancellation from MMSE third-order complex Volterra filters" ICASSP’17, New-Orleans (USA), March 2017. [CF1] P. CHEVALIER , B. PICINBONO, "Antennes adaptatives sous contraintes", Proc GRETSI, Juan-les-pins (France), pp. 465-468, Juin 1989. [CF2] F. PIPON, P. CHEVALIER , G. MULTEDO, "Système mixte de goniométrie à haute résolution et de réjection adaptative de brouilleurs dans la gamme HF", Proc GRETSI, Juan-les-pins (France), pp. 685-688, Sept. 1991. [CF3] P. CHEVALIER, "La lutte antibrouillage par traitement d'antenne: De l'ordre deux aux ordres supérieurs, du linéaire au non linéaire", Journée DRET sur le Traitement de Signal, pp. 116-120, Dec. 1992. [CF4] P. CHEVALIER, "Traitements d'antenne pour la guerre électronique - Séparation aveugle de sources aux ordres supérieurs", Journée DRET sur la Guerre Electronique, Oct. 1994. [CF5] P. CHEVALIER, "Une technique prometteuse: La séparation aveugle de sources aux ordres supérieurs", Journée SEE sur les antennes à traitement de signal, pp. 137-145, Mai 1995. [CF6] P. CHEVALIER, "Performances des séparateurs aveugles de sources aux ordres supérieurs", Proc. GRETSI, Juan-Les-Pins, pp 297-300, Sept. 1995. [CF7] P. CHEVALIER, "Filtrage d'antenne optimal pour signaux non stationnaires - Concepts, Performances", Proc. GRETSI, Juan-Les-Pins, pp 233-236, Sept. 1995. [CF8] F. PIPON, P. VILA, P. CHEVALIER, "Egaliseur multicapteurs a structure DFE - Mise en oeuvre et performances sur un canal radiomobile brouillé", Proc. GRETSI, Juan-Les-Pins, pp 265-268, Sept. 1995. [CF9] P. CHEVALIER, F. PIPON, J.J. MONOT, C. DEMEURE, "Antenne intelligente pour le système GSM: Résultats expérimentaux pour une réception mobile", Journée SEE sur l'avènement des communications personnelles, pp. 145-156, Juin 1996. [CF10] P. CHEVALIER, "Les statistiques d'ordre supérieur en traitement d'antenne", Proc. Ecole d'été sur les SOS, Grenoble, Sept. 1996. [CF11] P. CHEVALIER, F. PIPON, J.J. MONOT, "Antenne intelligente pour liaisons radiomobiles: Résultats expérimentaux pour une réception GSM mobile", JINA, Nice, pp. 356-359, Nov. 1996. [CF12] A. FERREOL, P. CHEVALIER, "Limites des Estimateurs Classiques de Cumulant d'Ordre Quatre pour la Séparation Aveugle de Sources Cyclostationnaires", Proc. GRETSI, Grenoble (France), pp.19-22, Sept. 1997. [CF13] V. CAPDEVIELLE, P. CHEVALIER, P. CALVARY, P. COMON, "Comparaison des performances de plusieurs méthodes de séparation aveugle de sources aux ordres supérieurs", Proc. GRETSI, Grenoble, pp. 115-118, Sept. 1997. [CF14] L. MEILHAC, E. MOULINES, P. CHEVALIER, P. DUHAMEL, "Identification paramétrique et égalisation autodidacte d’un canal spéculaire", Proc. GRETSI, Vannes, pp. 1173-1176, Sept. 1999. [CF15] P. CHEVALIER, "Antennes intelligentes à structure spatio-temporelle – Applications aux radiocommunications cellulaires", Proc. Ecole d'hiver sur les Télécommunications (ECOTEL), Antibes, Déc. 2000. [CF16] P. CHEVALIER, A. FERREOL, L. ALBERA, "Méthodologie générale pour la séparation aveugle de sources cyclostationnaires arbitraires – Application à l’écoute passive des radiocommunications", Proc. GRETSI 03, Paris, Sept. 2003. [CF17] L. ALBERA, A. FERREOL, P. CHEVALIER, P. COMON, "ICAR, un algorithme d’ICA à convergence rapide, robuste au bruit", Proc. GRETSI 03, Paris, Sept. 2003. [CF18] P. JALLON, A. CHEVREUIL, P. LOUBATON, P. CHEVALIER, "Separation de mélanges convolutifs de modulations CPM sur-échantillonnées", GRETSI’05, Louvain (Belgique), Sept. 2005. [CF19] P. CHEVALIER, A.BLIN, F. PIPON, F. DELAVEAU, "Récepteurs GLRT pour la détection d’un signal connu perturbé par des interférences non circulaires", GRETSI’07, Troyes (France), Sept. 2007. [CF20] P. CHEVALIER, A. FERREOL, L. ALBERA, G. BIROT, "Goniométrie aux ordres supérieurs pour réseaux d’antennes à polarisation multiple", GRETSI’07, Troyes (France), Sept. 2007. [CF21] A. BELLION, C. LE MEINS, A. JULIEN-VERGONJANNE, T. MONEDIERE, A. FERREOL, P. CHEVALIER, "Application de la borne de Cramer Rao dans le cas de systèmes antennaires complexes de goniométrie", GRETSI’07, Troyes (France), Sept. 2007. [CF22] P. CHEVALIER, F. PIPON, G. ROGERIEUX, D. LANDI, "Apport de la diversité d’antennes en réception pour les liaisons ionosphériques HF ", Journées Scientifiques d’URSI-France’09 – Propagation et Télédétection, Paris (France), Mars 2009. [CF23] P. CHEVALIER, F. PIPON, D. LANDI, "Liaisons ionosphériques HF avec réception multi-antennes - Résultats expérimentaux avec et sans interférence", GRETSI’09, Dijon (France), Sept. 2009. [CF24] F. DUPUY, P. CHEVALIER, "Fonctionnement et performances des récepteurs alamouti linéaires au sens large pour la réception de constellations réelles en contexte multi-utilisateurs – Analyse du concept SAIC/MAIC Alamouti ", GRETSI’11, Bordeaux (France), Sept. 2011. [CF25] M. SADOK, J.P. DELMAS, P. CHEVALIER "SAIC pour une interférence circulaire au second ordre par filtrage de Volterra complexe d'ordre 3", GRETSI’17, Juan-Les Pins (France), Sept. 2017. [B1] G. MULTEDO , G. ROGERIEUX, F. PIPON, P. CHEVALIER, "Dispositif pour la localisation de sources radioélectriques et la réjection d'interférences dans la gamme des hautes fréquences", 1993. [B2] F. PIPON, P. CHEVALIER, "Procédé et Dispositif permettant à un modem de se synchroniser sur un transmetteur de données numériques par voie hertzienne en présence de brouilleurs", N°94.00634, Janv. 1994. [B3] F. PIPON, P. CHEVALIER, P. VILA, "Procédé permettant une égalisation multi capteurs dans un récepteur radioélectrique en présence d'interférences et de multi trajets de propagation", N°94.02520, Mars 1994. [B4] J.J. MONOT, F. PIPON, G. MULTEDO, P. CHEVALIER, "Procédé de réception multi capteurs d'une station de base fixe d'un réseau de communication échangeant des données avec des mobiles et dispositif pour sa mise en oeuvre", N°95.03626, Mars 1995. [B5] J. THIBAULT, P. CHEVALIER, F. PIPON, J.J. MONOT, G. MULTEDO, "Procédé et dispositif de multiplexage spatial de signaux radioélectriques non Gaussiens échangés dans des radiocommunications cellulaires", N°95.09976, Août 1995. [B6] J. THIBAULT, P. CHEVALIER, F. PIPON, J.J. MONOT, "Procédé et dispositif de multiplexage spatial de signaux radioélectriques numériques échangés dans des radiocommunications cellulaires", N°95.09975, Août 1995. [B7] F. PIPON, P. CHEVALIER, J.J. MONOT, T. ASTE, "Procédé et dispositif de goniométrie coopérative en transmissions", N°97.06801, Juin 1997. [B8] P. CHEVALIER, F. PIPON, "Procédé d’estimation d’une matrice de corrélation de signaux interférents reçus par un réseau de capteurs", N°00.03597, Mars 2000. [B9] L. MEILHAC, P. CHEVALIER, E. MOULINES, "Procédé et récepteur autodidacte pour déterminer les paramètres spatio-temporels d’un canal de propagation", N° 01.00540, Janv. 2001. [B10] M. CHENU-TOURNIER, P. LARZABAL, P. CHEVALIER, C. ADNET, "Procédé pour estimer les paramètres d’un canal de propagation", N° 01.01429, Fev. 2001. [B11] J.M. CHAUFRAY, P. CHEVALIER, P. LOUBATON, "Procédé et dispositif d’estimation d’un canal de propagation à partir de ses statistiques", N° 01.02653, Fev. 2001. [B12] A. FERREOL, P. CHEVALIER, L. ALBERA, "Procédé de traitement d’antenne sur des signaux cyclostationnaires potentiellement non centrés", N°02.05575, Mai 2002. [B13] C. DONNET, P. CHEVALIER, "Procédé et dispositif de tarage-égalisation d’un système de réception", N° 02.12010, Sept. 2002. [B14] P. CHEVALIER, F. LASNIER, B. COL, "Procédé de vérification de l’efficacité de l’antibrouillage d’un système de communication", N°02.14685, Nov. 2002. [B15] A. FERREOL, L. ALBERA , P.CHEVALIER, "Procédé et dispositif d’identification autodidacte d’un mélange sous-déterminé de sources au quatrième ordre (FOBIUM)", N°03.04041, Avril 2003. [B16] L. ALBERA , A. FERREOL, P.CHEVALIER, P. COMON, "Procédé d’identification autodidacte et de séparation aveugle de sources aux ordres supérieurs" , N°03.04043, Avril 2003. [B20] P. CHEVALIER, F. VAN DE WIELE, C. DONNET, "Procédé et dispositif d’antibrouillage d’un système de télécommunications à évasion de fréquences", N° 06.03358, Avril 2006. [B21] F. DELAVEAU, P. CHEVALIER, F. PIPON, "Procédés et dispositifs pour une nouvelle approche du calcul de la fonction d’ambiguïtés Espace/Distance/Vitesse en radar, sonar et communications", N° 06.05007, Juin 2006 (CD). [B22] F. DELAVEAU, P. CHEVALIER, F. PIPON, "Procédés et dispositifs pour déterminer la réponse impulsionnelle de canaux de propagation impliquant des émetteurs, des réflecteurs et des capteurs fixes ou mobiles", N° 07.05772, Août 2007. [B23] A. FERREOL, P. CHEVALIER, "Procédé pour optimiser la position de capteurs identiques dans un réseau de communication ", N° 09.03835, Août 2009. [B24] A. FERREOL, P. CHEVALIER, "Procédé pour optimiser la structure d’un réseau de capteurs identiques pour la goniométrie", N° 09.03836, Aout 2009. [B25] P. CHEVALIER, F. DUPUY, "Procédé et dispositif de réception mono et multi antennes pour liaisons de type Alamouti", N° 09.05263, Nov. 2009. [B26] C. GERMOND, A. FERREOL, P. CHEVALIER, "Procédé pour estimer le nombre de sources incidentes à un réseau de capteurs par estimation de la statistique du bruit", N° 09.06216, Dec. 2009. [B27] P. CHEVALIER, H. BECKER, "Procédé et dispositif de goniométrie exploitant des rangements rectangulaires des statistiques", N° 14.01004, Avril 2014. [B28] P. CHEVALIER, S. HILTUNEN, F. PIPON, "Procédé et dispositif de synchronisation MIMO en présence d’interférences", N°069993, Sept. 2015.